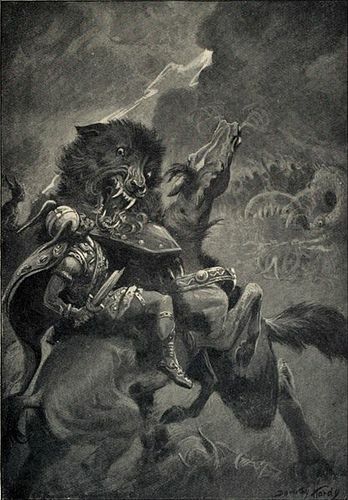 fenrir. fenrir son of loki the first werewolf!!!. Wallpaper and background images in the Werewolves club tagged: werewolf werewolves wolf horror photos curse of the werewolf. This Werewolves photo contains jager, schutter, and fontein. There might also be groene baret, speciale krachten, elite soldaat, speciale troepen, marine verbinding, verbindings, navy seal, seal, straat, stad scène, stedelijke omgeving, stad straatbeeld, and stedelijke instellen.